Chilean DJ and label owner Luciano has had a big year in 2017, which included the top DJ Awards prize for techno and his music and astronomy collaboration with the ALMA Sounds project. 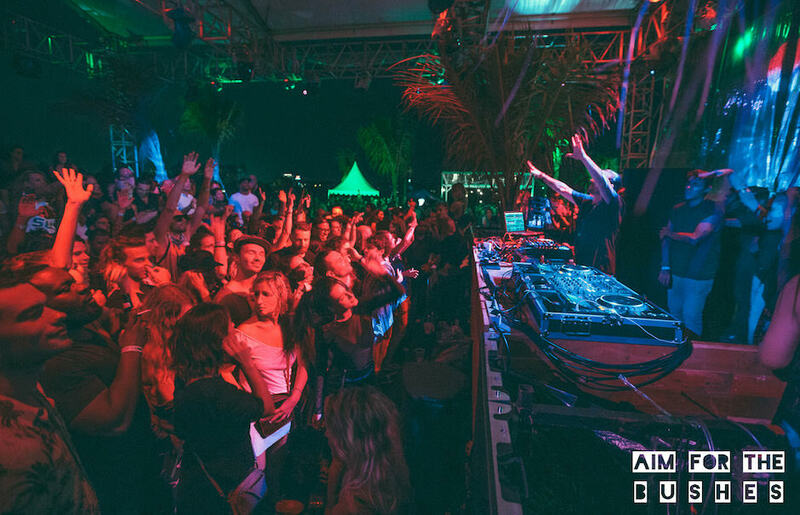 As Luciano stopped in Bali during his recent Asia tour, which included Vietnam and Hong Kong, I caught up with him before he played to a packed dance floor at Luciano x Aim For The Bushes at Jungle Bali to talk about boutique festivals, astronomy, and staying relevant in 2018. Tell me your thoughts on Bali. I have only been here for three days, but I love the culture that I have seen so far and have experienced some great hospitality. Thanks for coming to visit us here in Bali. I saw from your tour schedule that you were just at Epizode Vietnam, please tell me about your experience there. It was an amazing festival on an island in Vietnam, and the festival organizers put a lot of thought and energy into making this party. It created one of the best vibes I have seen, and I was really happy to play there. It is great to see these more intimate festivals where people really come to enjoy the music. Do you see these smaller boutique festivals becoming more popular in the future? Yes I do, even though I love playing for large festival just the same. When they have the smaller crowd, there is a more powerful connection. It takes me back to when I first started raving and the parties seemed more special then. I feel it again at these more intimate festivals. I actually get to teach people and show people different aspects of music. 2017 has been a big year for you, especially with ALMA Sounds. Can you please tell me about it? I was very excited about this. This was a collaboration between me and my friend Antonio Hales, who is an astronomer and a musician, and wanted to combine both of his loves. Together we gathered data from the Orion nebula using the radio astronomy observatory in Chile. This was the first time that we can bring music and science together like this, which was something we can truly call devine. Please tell us about how 2017 was for your label, Cadenza? My label has been going for 15 years, changing the shape of sound, inspiring people, inspiring artists. We have been trying to stick what we have always done and we don’t pretend. We just keep doing what we do and what we love to do. For your final thoughts, what do you see in the year ahead for 2018? I was really impressed with music in 2017, and I hope that I get to continue to be part of the scene in this year ahead, and continue to inspire others. Follow Jungle Bali to see their upcoming events for 2018.